VostokVR is proud to finalize it's project with Singapore Land Authorities (SLA) that consisted of 360 video, aerial video, infographic and Virtual Reality Viewer application development. The 2D trailer is available for viewing on the web internet browser. VostokVR brings the new way of guiding and teaching. Guided VR Tour developed in collaboration with Titans of Space (TM) allows to conduct guided VR tours with up to 30 virtual reality headsets from Android based tablet. Haven’t been to the space yet? Then hurry up, and bring all your friends along. Because now you can dip into the virtual reality world together. A few hundreds visitors had already tested the group VR travelling during the History Con event in Manila. In the Solar System booth they flew from Earth to Mars and from Mars to Venus with the only help of a dozen VR headsets. VostokVR helped to make sure everyone’s keeping up and the group sticks together. Student’s teachers stared in amazement. A usually boring Astronomy lesson had fully transformed engaging even the most hyperactive and restless students! - The new technology allows to control every VR headset from just one single device. Means the guide now don’t need to worry that someone has still been counting Saturn rings while everyone moved to Jupiter already. Not only the new technology allows this moving at the same time, but it also gives you the power to add some information on participant screens and change the music when it necessary. This is the future of VR group travelling. Or maybe it is a new way of giving group presentations? Or a sophisticated opportunity to lead your potential investor through something that doesn’t exist yet and present the potential future? Whichever you need it for, it would find its use at every niche. So next time you’re going to dip into that virtual reality world, bear in mind you’re now free to share your experience with the rest. EMC VR Fest is the first film festival organized in Russia that attracted more than 30 best 360 films (including productions from JauntVR, Within, NYTVR, Baobab studios etc). Within 3 days more than 1,500 people have tried 360 video for the first time in their life and VOSTOKVR is proud to be a part of this amazing event. Hopefully end of this year we can come out with even more amazing and technically advanced 360 videos and 360 animations. Then they got 100 million investments from Disney and China Media Partners and have switched to becoming "Netflix for VR". To do that they have started approaching best in class 360 video companies to host their videos on leading edge JauntVR platform. VOSTOKVR is proud to announce our partnership with Jaunt, as we published first piece "Happyland360" there and have few more cinematic VR collaborations in plans. Vision Summit hosted by UNITY became one of the largest events dedicated to VR and 360 video in first 6 months of 2016 and attracted best of the best VR/AR/360 video production studios. Competing with more than 300 other entries Happyland360 has reached finals where shared Honorable Mention together with VRSE/United Nation project "Waves of Grace". It has became the only project that reached finals representing Asian 360 filmmakers. Huawei Flagship Store in Singapore is one of the most advanced telco stores in South­East Asia. You may consider it as an Huawei Experience centre, where everyone can try latest technologies powered by Huawei. 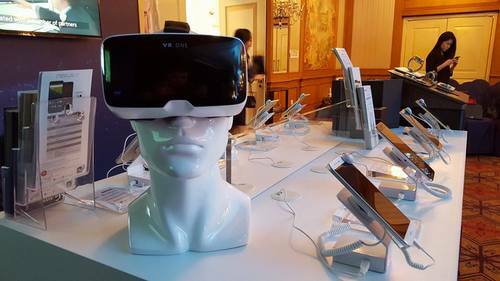 VOSTOKVR has provided ZEISS VR headsets and have modelled and 3D printed special custom­made tray to enable use of latest Huawei smartphones. Filmed by VOSTOKVR with support from V3RA and leading optical manufacturer Carl ZEISS. The project unravels the story of 50,000 people who live by the toxic landfill in Manila, Philippines. Once called Hapilan, or “smelly garbage” in the Visayan dialect, locals renamed the slum Happyland in hope of a better future. The movie represent first example of 360 documentary ever made in Singapore and Asia. Use your smartphon & cardboard to to view the trailer. Iconic sports event that held once in a year in Singapore. Top 8 Women Tennis Association players are invited to decide who is the best. VOSTOKVR worked closely with OCBC to create first in Asia interactive installation using Carl ZEISS headsets. OCBC Customers and WTA Fans were able to be inside the head of tennis player and play against the best WTA stars. The event was held in 2 spots in Singapore (at OCBC Centre as well as Fan Zone @ Stadium) and attracted more than 5,000 visitors. That was also the only Virtual Reality setup at WTA Finals Fan Zone. VOSTOKVR made a live recording of TEDx Singapore. We have also created a VR Booth where TEDx visitors, speakers and team members could try best of the best made 360 content and sneak peak of Happyland360 project. 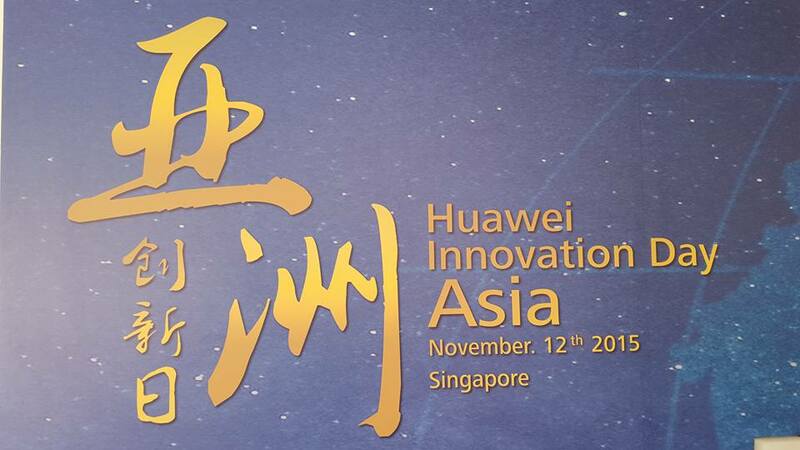 Huawei Innovation Day was first ever in Asia Innovation day organised by Huawei in Asia. It was held in glorious Raffles Hotel, where crème de la crème of Singapore IT society gathered. We have created interactive VR setup powered by Huawei P8 smartphone. For this purpose we have modeled and then 3D printed special custom-­made trays to handle Huawei latest smartphone. Garena Carnival is the largest in Asia gaming carnival with more than 8,000 visitors. Together with Garena we have created interactive booth where Garena games fans can interact with Poro (small creature from League of legends game series) using their facial emotions. Aside from that every gamer could try VR headsets, games and interactive experiences.